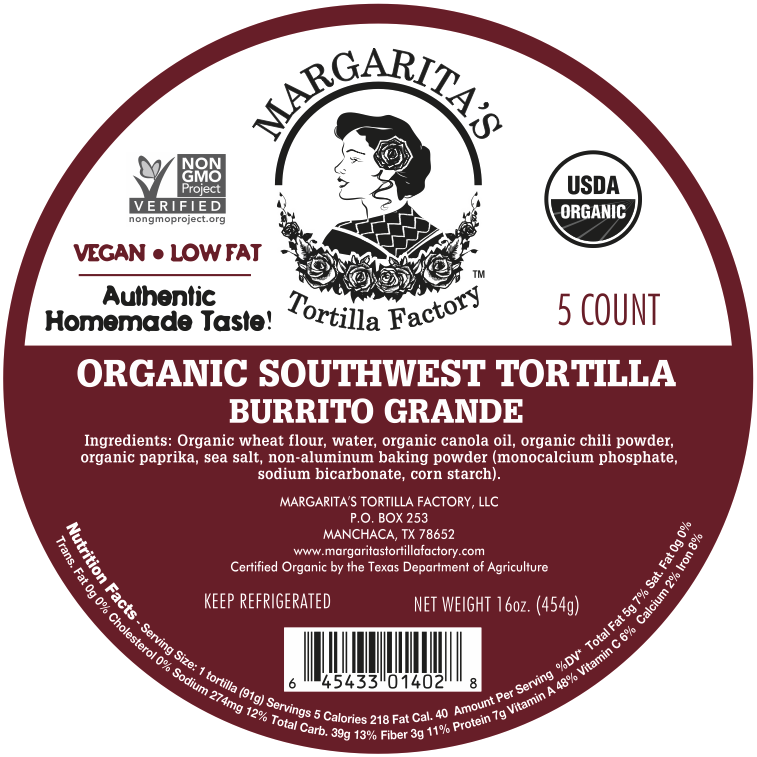 Our Southwest Tortillas only come in one size: grande. 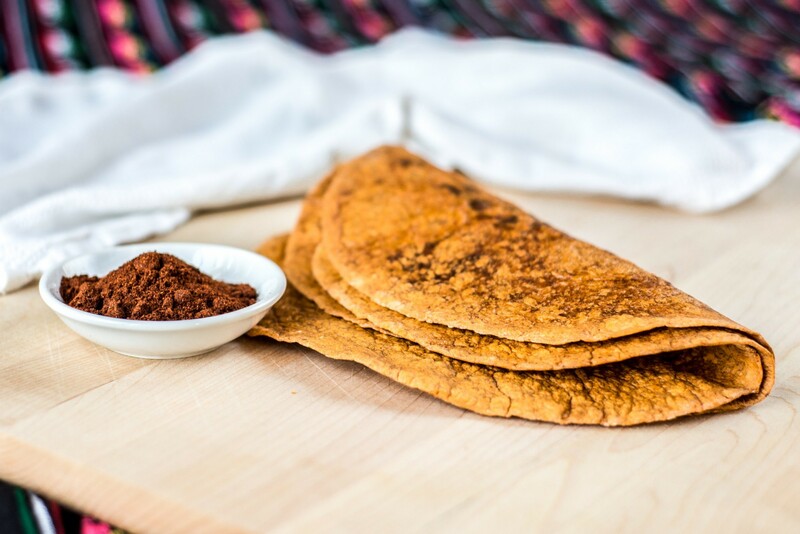 That’s because once you taste the chili powder in these tortillas, you’ll want to make the biggest Tex-Mex burrito that you can, stuffed with rice, beans, meat, cheese, vegetables, and salsa. Organic wheat flour, water, organic canola oil, organic chili powder, organic paprika, sea salt, non-aluminum baking powder.